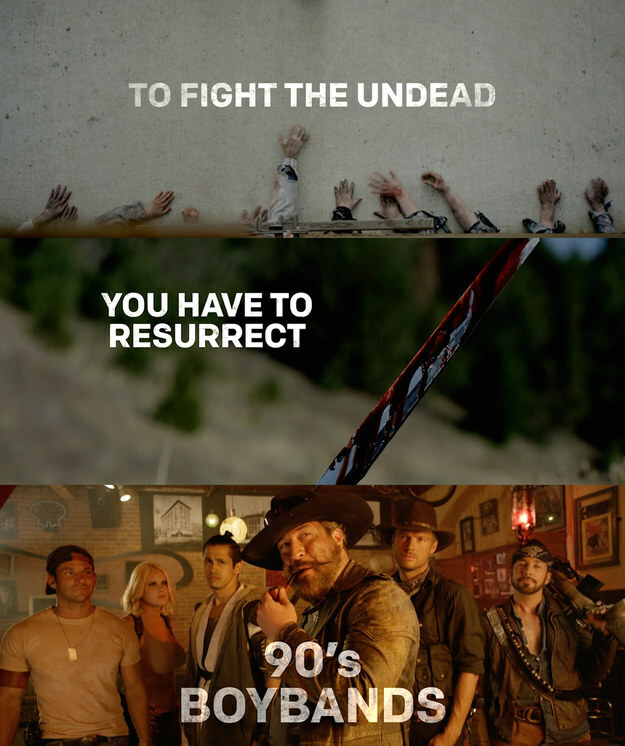 Members of The Backstreet Boys, NSYNC, 98 Degrees, and O-Town battle the undead. We’ve seen zombies battle Abe Lincoln, Elizabeth Bennet—even Bigfoot! But the most madcap death-match between the undead and the living may be yet to come. 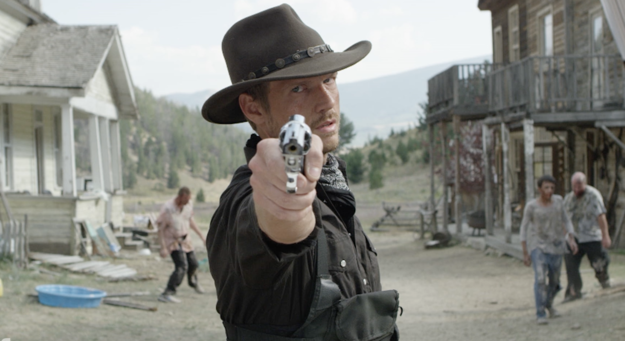 On April 1st at 8 PM, Syfy will air DEAD 7, a made-for-TV horror movie that will pit zombies against members of some of the 1990’s biggest (cheesiest) “boy bands.” Check out some behind-the-scenes action below. Official Synopsis: This is a post-apocalyptic Western that follows a group of gunslingers as they look to rid a small town of a zombie plague. 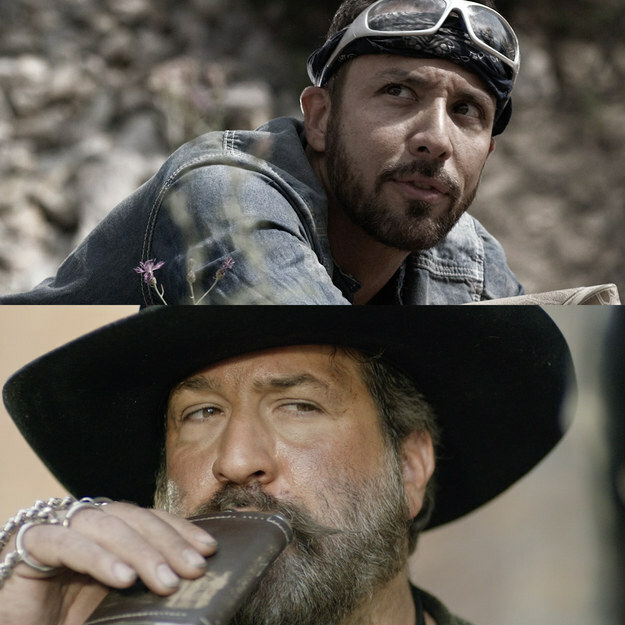 Dead 7 will feature the following tween icons of yesteryear: Nick Carter, AJ McLean, and Howie Dorough from The Backstreet Boys; Joey Fatone and Chris Kirkpatrick from NSYNC; 98 Degrees’ Jeff Timmons, and; Erik-Michael Estrada, Jacob Underwood, Trevor Penick, and Dan Miller from O-Town. This is one situation where I’ll definitely be rooting for the bad guys; I’m looking forward to seeing some washed-up has-beens who exemplify everything that’s wrong with the music industry turned into zombie chow! Who’s with me? I hope this guy gets eaten by a zombie! I hope these guys get eaten too! This guy NEEDS to get eaten–obviously he deserves it! 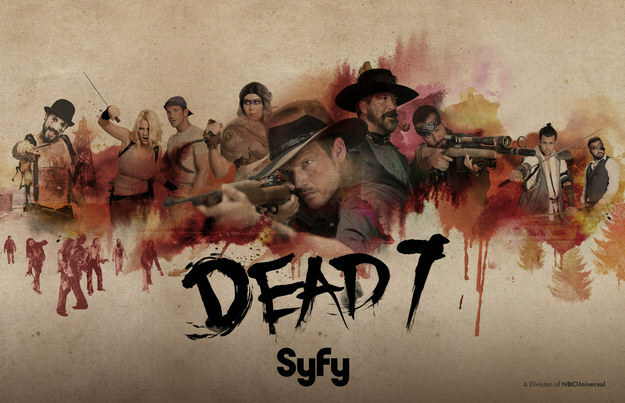 Will you be tuning in to Syfy on April 1st to watch some zombies battle some “boy bands”? Sound off in the Comments section!